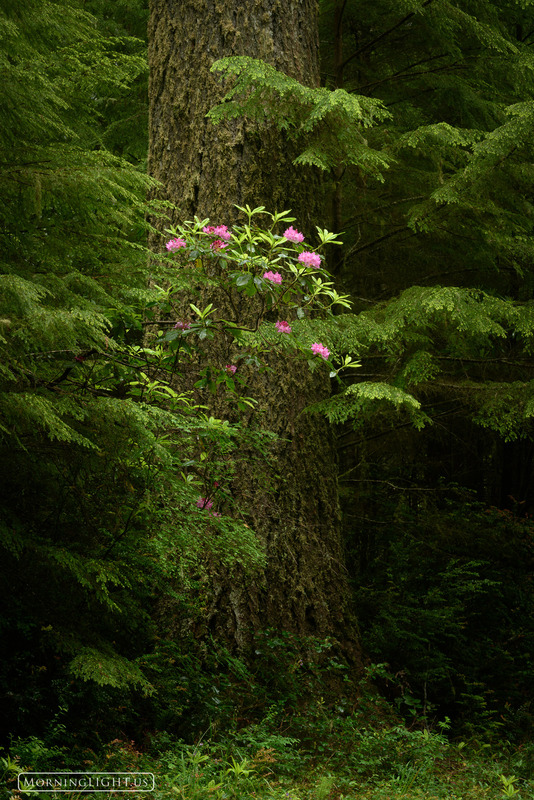 In a world of lush green that stretches out in every direction the rhododendrons are an amazing sight to behold. These large blossoms seem to leap out of the forest and draw you in. Photo © copyright by Erik Stensland.